FSMA focuses on preventing food safety issues. As part of this preventive approach, FSMA places primary responsibility on the owners and operators of food facilities and farms to identify and control hazards. The FSMA rules are intended to create a modern, risk-based framework for food safety. 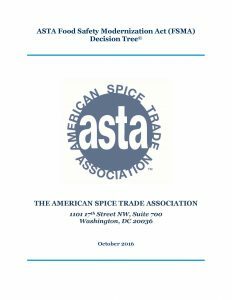 This tool covers activities that are typical of all of the segments of the spice industry, including growing crops, drying crops and processing them into spices, importing raw materials and finished spice products, and transporting spices both outside of and within the United States. 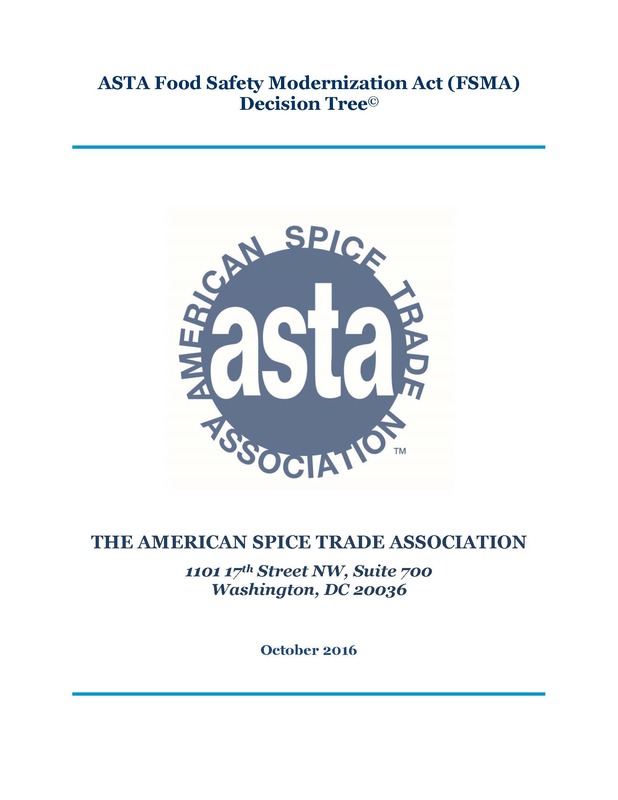 This decision tree is not designed to address activities that are not related to the spice industry (e.g., raising animals on a farm that also grows crops that will be used in spice products). ASTA has made this publication free to members. Non-member must pay a $250.00 license fee to access this document. Once the order has been processed a PDF of the document will be emailed to you. If you have any questions about this publication, please contact the ASTA office at [email protected].